The technology these days has so far developed that you as good as never have to fear when the Microsoft Word crashes. There are always ways to recover your word documents after crash. In this article, I will introduce you to three ways you can use to help yourself after a crash. iMyFone AnyRecover a professional recovery program, which gives the user many option to recover any data form any device. This includes: documents, photos, videos, emails, audios, etc. Whenever such an incidence occurs, keep your calm and download AnyRecover if you not have done so already. It won’t take more than a few clicks to recover all your lost data! After you installed and opened AnyRecover, choose the mode which gives you the best chance to recover your data. Step 1. Click on Deleted Files Recovery, and the software starts to scan your computer. When the scan is finished, select the location of your lost data. Step 2. Then choose the file type, which in this example would be Documents. And click Scan. 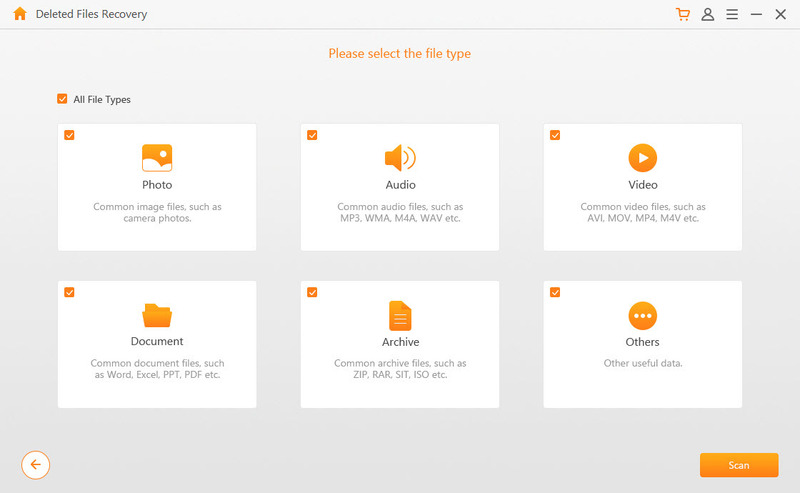 The software now scans for all document files and will load them for you to see. Step 3. When the scan is finished, find your document and preview it. When you are sure this is indeed the file you were looking for, click the Recover button. As you can see, recovering data is easy, and the restoration of lost data is only a few clicks away. It is important to note, not to install the software on the same partition on your hard drive where you want to recover the data. Through the installation process, the desired data might be overwritten. Closing a document without saving it can happen at any time. Particularly, when your Microsoft Word crashed. Microsoft is well equipped for such occurrences. 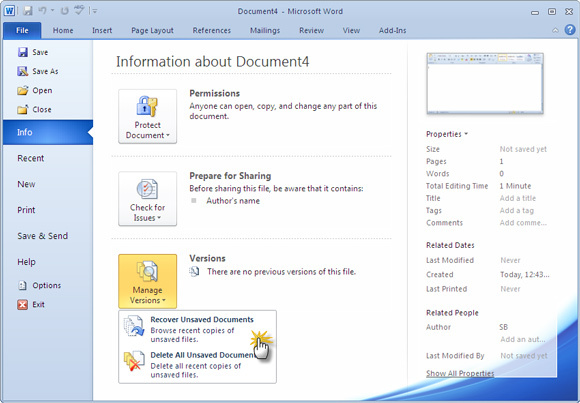 Here I will show you step by step a method, how you can recover Word documents after crash. Using Word’s Recover Unsaved Documents is a secure but reliable tool. You do not need to be an expert. Just follow the steps below to recover the files, you thought where lost! Step 1. Open Word on your computer. All your unsaved documents will open in a new window, choose the one you have lost. If you know where Microsoft stores its temporary files, you could go straight there, trying to recover your lost documents after Microsoft Word crashed. However, most people would not be familiar with this location. Follow these easy steps, and you will find all the temporary files on your computer. Step 3. On the submenu click on the %temp% folder. Step 4. In a new window, you will see the temporary files. Using Auto Recover tool helps you to keep your files safe and protected in case of a computer crash. This tool will keep the latest version you have worked on whenever the unexpected happens. Step 1. Open Word, scroll down to Options. Step 2. From the emerging window choose Save. Step 4. Tick: Keep the last AutoRecover version if I save without closing. The next time you close a Word document without saving, just open Word once again and you will see the last AutoRecover version on a panel on the left side. Click on it and keep working. As you can see, there are always different ways to recover data. Nothing ever stored on your hard drive is lost forever. 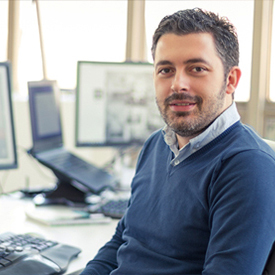 Using AnyRecover is a safe and reliable software to find lost data without interrupting your day. AnyRecover is 100 % is the most reliable data recovery software on the market. Before you buy, download the trial and see what it can do for you. How to Recover Deleted/Unsaved Word (2010/2007) Documents? Word Documents Recovery: Ultimate Guide to Recover Everything!